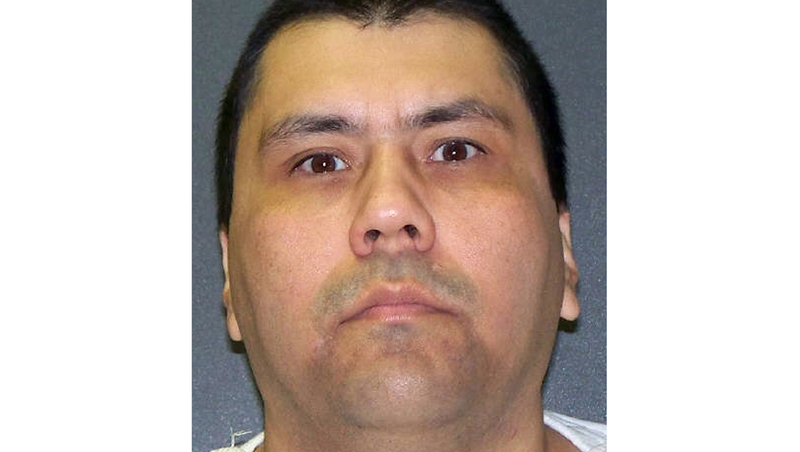 HUNTSVILLE, Texas - Jpse Villegas, a man convicted of fatally stabbing his ex-girlfriend, her 3-year-old son and her mother 13 years ago at a home in Corpus Christi was executed by Texas prison officials Wednesday. The lethal injection of Villegas, 39, was carried out after his attorneys unsuccessfully argued to the U.S. Supreme Court that he was mentally impaired and ineligible for the death penalty. "I would like to remind my children once again I love them," Villegas said when asked if he had a statement before being put to death. "Everything is okay. I love you all, and I love my children. I am at peace." Villegas was pronounced dead at 7:04 p.m., 11 minutes after the lethal dose of the sedative began. He became the seventh prisoner executed this year in the nation's most active death penalty state.